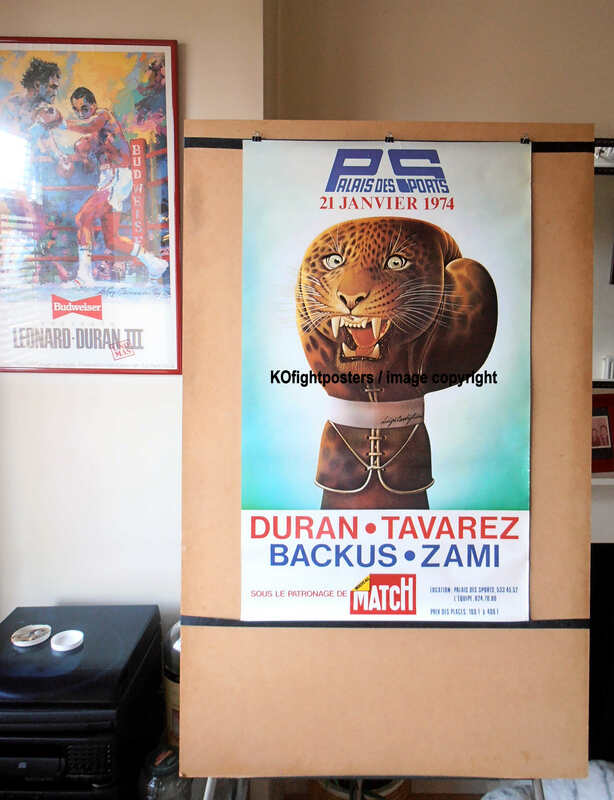 Description : Mega scarce vintage onsite fight poster designed by the legendary sports poster artist Luigi Castiglioni & sponsored by PARIS MATCH. 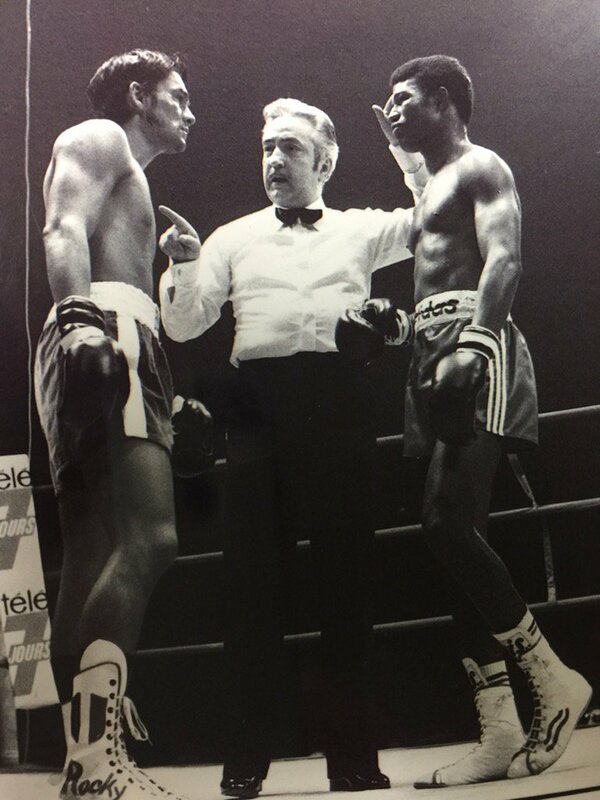 This was Roberto Durans 1st ever fight in Europe held at the Palais des Sports, Paris, France, 21st January 1974. Duran weighed in at 138.5lb for this super lightweight 10 rounder 3.5lb over the lightweight championship limit in this 10 round tune up bout for his rematch with Esteban DeJesus 2 months later. 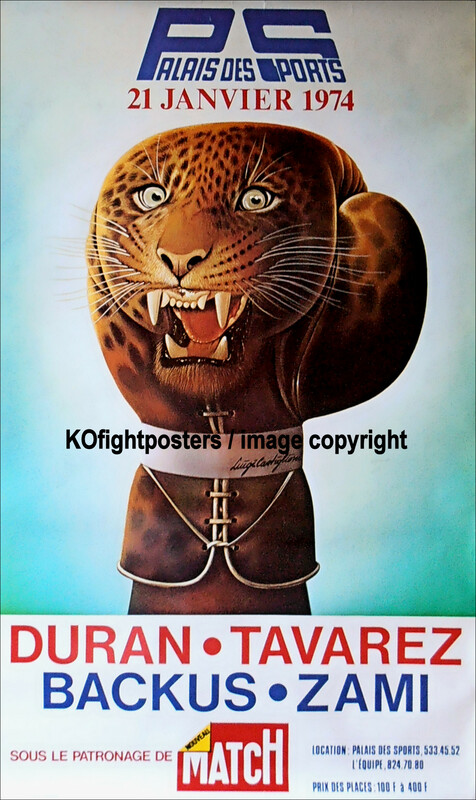 Duran dispatched French champion Tavarez in the 4th round winning by TKO.